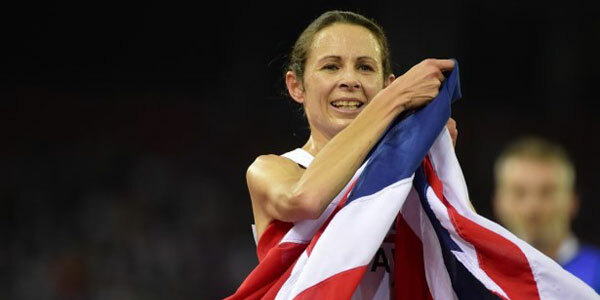 Jo Pavey (coach: Gavin Pavey) leads the finalists for the Sunday Times & Sky Sports Sportswoman of the Year awards which are to be held on Wednesday 19 November in London. Athletics have finalists in four of the categories which is a fine reward for a very successful year for our female athletes. The 40 year-old mum of two captured the hearts of the nation as she became the oldest ever gold medallist at the European Championships in the 10,000m. This came a few weeks after winning an exceptional 5000m bronze medal at the Commonwealth Games in Glasgow. She now stands a chance of joining an illustrious list of former winners of the award such as Christine Ohuruogu and Paula Radcliffe. 2014 has been a breakthrough year for two of our young stars in the GB & NI team, and their stunning achievements have been rewarded as they have been shortlisted for Young Sportswoman of the Year award. Morgan Lake (Eldon Lake) won two gold medals at the IAAF World Junior Championships in Eugene this summer in the heptathlon and high jump at the age of only 17. The teenager has been a promising talent for many years but this summer saw her coming of age in the athletics world. Additionally, she won selection for the senior British team at the European Championships in Zurich where she competed in the high jump. Dina Asher-Smith (John Blackie) was also triumphant at the IAAF World Junior Championships where she won the 100m title. The success didn’t stop there as she was called up to the senior team at the European Championships where she would set a new lifetime best in the 200m of 22.61 in the semi-finals. Unfortunately, injury in the final meant she did not finish but it has been a breakthrough year for the 18 year old. Libby Clegg (Keith Antoine) has made the final four in the Disability Sportswoman of the Year awards. Alongside her guide Mikail Huggins, she won the Commonwealth gold in the T12 100m for Scotland, their only gold medal from the track. The 4x100m relay team have been shortlisted for the Team of the Year award. They broke the 34 year old British record twice this summer, firstly at the European Championships in Zurich, and then clocking a time of 42.21 at the Diamond League event on the same track 11 days later. Asha Philip, Jodie Williams (both Christine Bowmaker), Ashleigh Nelson (Michael Afilaka), Anyika Onuora and Desiree Henry (both Rana Reider) have been part of the record breaking teams this year.